In Volume 1, A Monte Carlo Primer - A Practical Approach to Radiation Transport (the "Primer"), we attempt to provide a simple, convenient, and step-by-step approach to the development, basic understanding, and use of Monte Carlo methods in radiation transport. Using the PC, the Primer begins by developing basic Monte Carlo codes to solve simple transport problems, then introduces a teaching tool, the Probabilistic Framework Code (PFC), as a standard platform for assembling, testing, and executing the various Monte Carlo techniques that are presented. 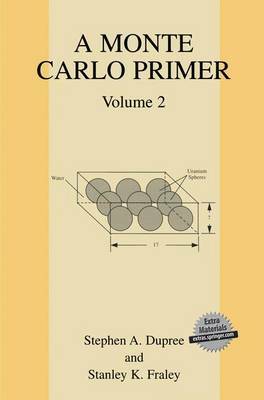 This second volume attempts to continue this approach by using both custom Monte Carlo codes and PFC to apply the concepts explained in the Primer to obtain solutions to the exercises given at the end of each chapter in the Primer. A relatively modest number of exercises is included in the Primer. Some ambiguity is left in the statement of many of the exercises because the intent is not to have the user write a particular, uniquely correct piece of coding that produces a specific number as a result, but rather to encourage the user to think about the problems and develop further the concepts explained in the text. Because in most cases there is more than one way to solve a Monte Carlo transport problem, we believe that working with the concepts illustrated by the exercises is more important than obtaining anyone particular solution.